The 5th Iberoamerican Individual Chess Championship took place on 22-30rd July 2014 in Linares, a city located in the Andalusian Province of Jaen, Spain. 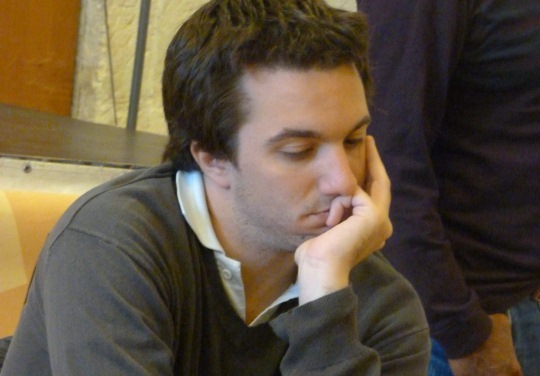 The 9-round Swiss event was topped by the first seeded player GM Axel Bachmann (Paraguay). The winner collected 7,5 points, leaving the runner-up GM Jorge Cori (Peru) half a point behind. GM Oleg Korneev (Spain) and Colombian IM Alder Escobar Forero shared third place on 6,5 points each, but Korneev prevailed on superior tie-break score and took the bronze.